My sambal chilli came in handy for yesterday’s Labor Day BBQ. 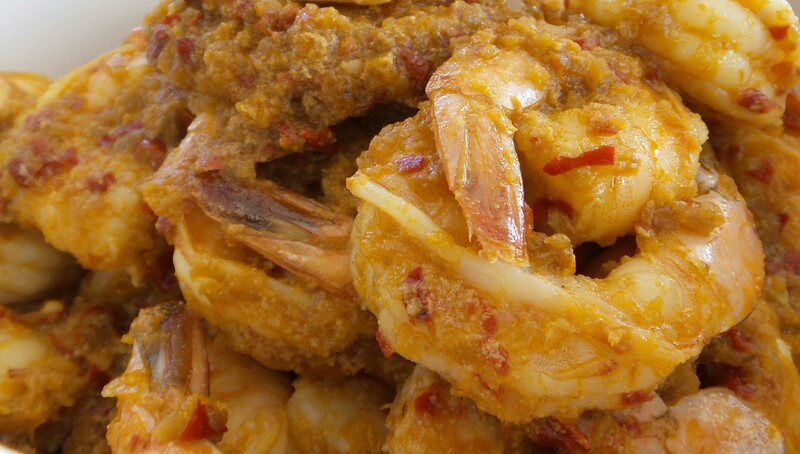 I was able to whip up this Sambal Udang dish in 10 mins and it tastes awesome. At least my guests say so ;). I have always wondered what is the difference between shrimp and prawns since coming to the US. We called it ‘prawns’ back home, but in the US, they are labeled ‘shrimps’. Now that I have to write this post, I spent some time to look it up. I guess if I can put them side-by-side and scrutinize closely, I will be able to observe the difference. For the sake of cooking, there is no difference. Just enjoy! 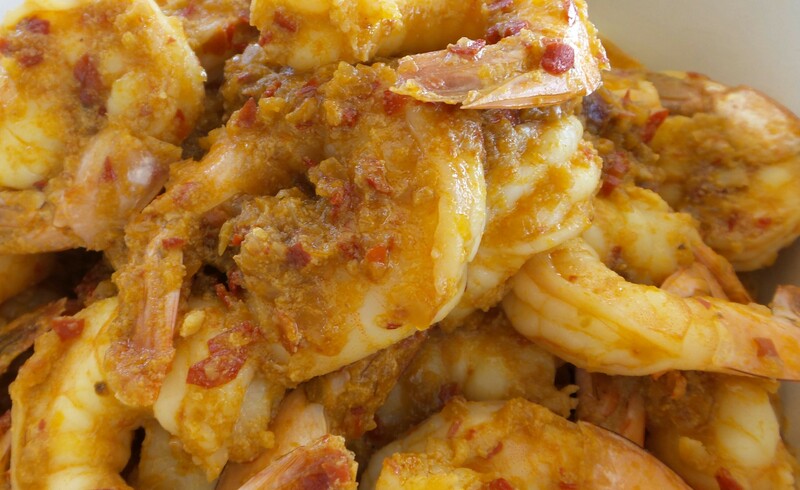 Rinse shrimps and season with a pinch of salt and 1 tsp sugar, set aside. Heat wok over medium heat. Add sambal chilli and heat until the oil separates from the chilli. Turn up heat, add the shrimps and stir fry until the shrimps are cooked through. Serve hot. It is spicy!